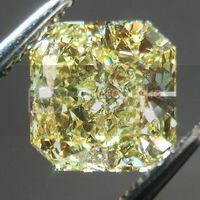 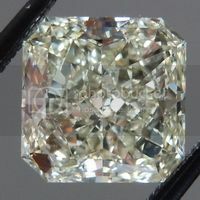 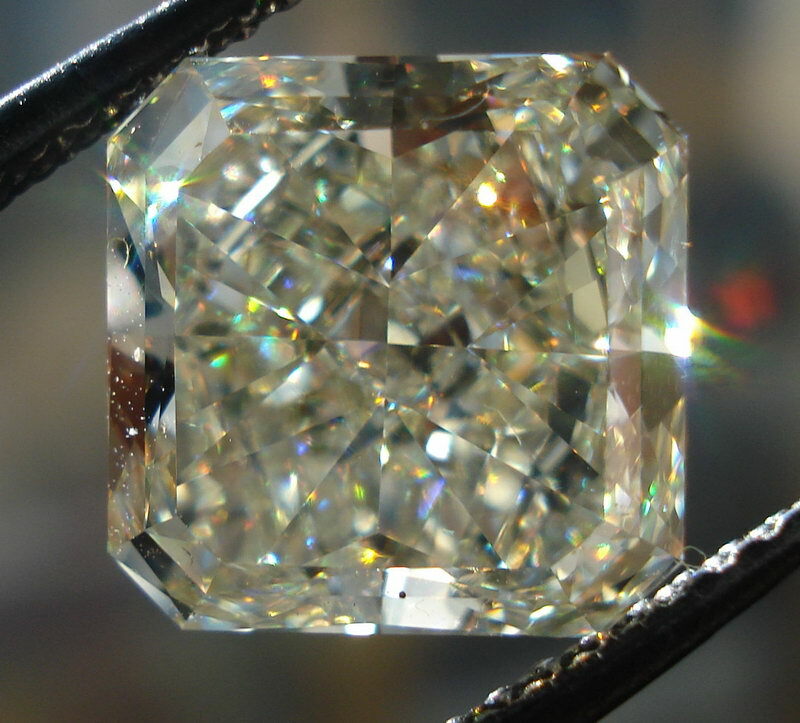 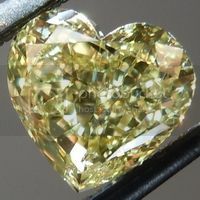 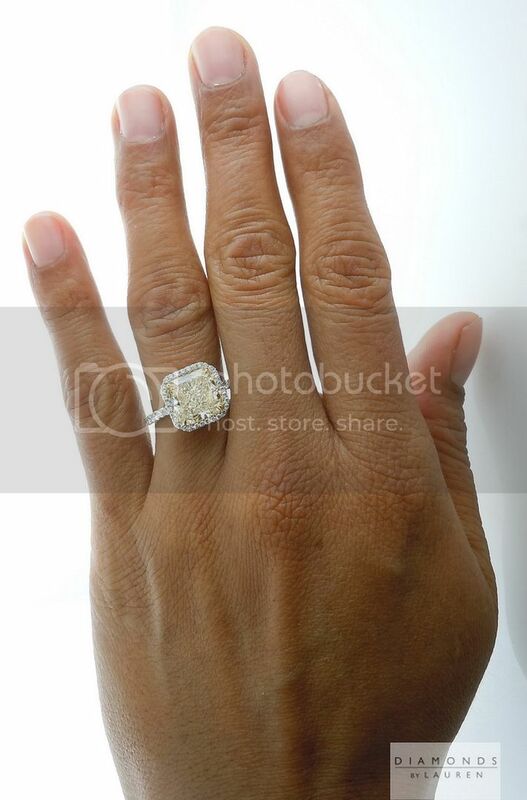 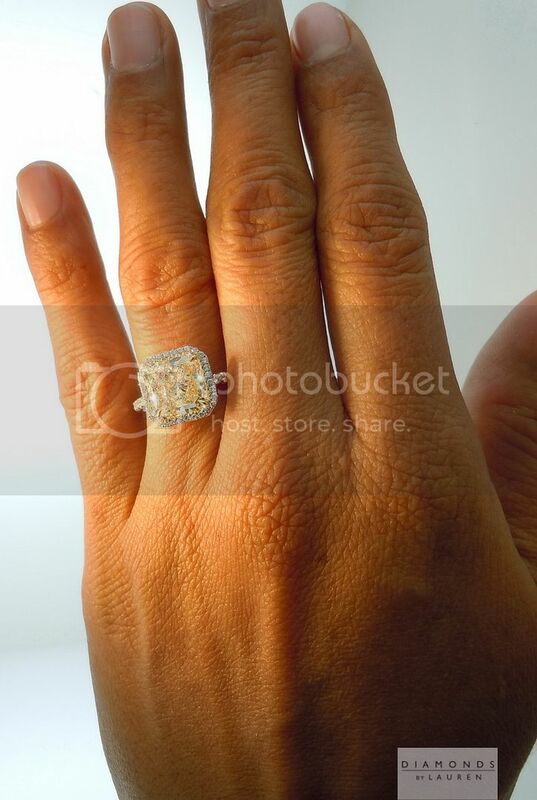 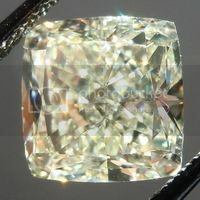 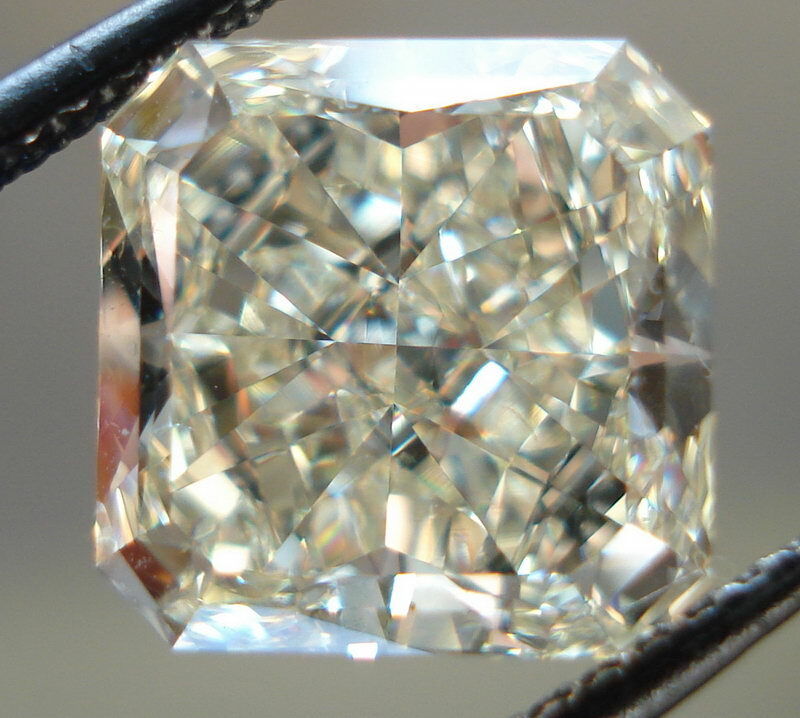 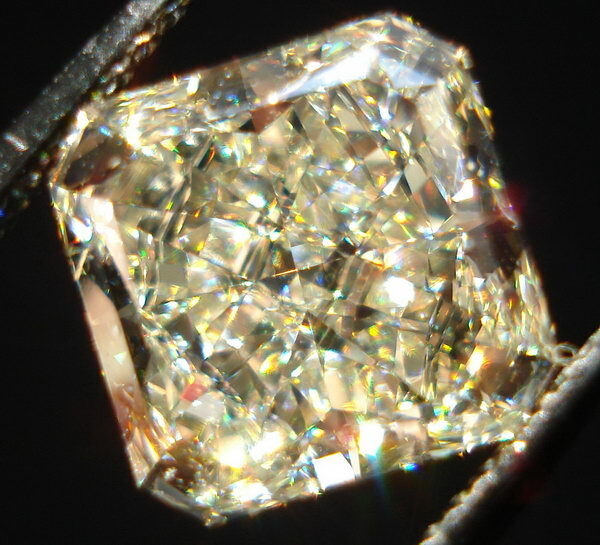 This is a gorgeous square radiant cut diamond with a really nice cut. 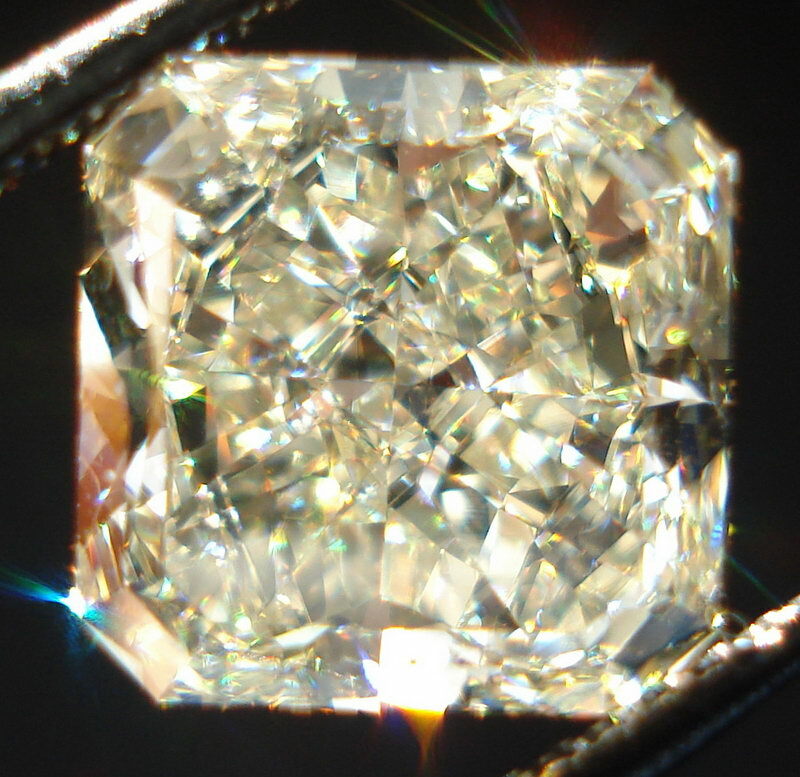 Tremendous sparkle, and it looks large for its weight. 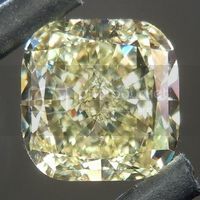 Faint yellows like this one sometimes look quite yellow - and other times the color is far more subtle. 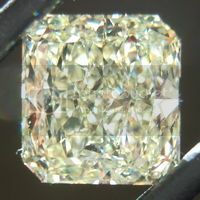 Setting the diamond properly gave this yellow a "kick." 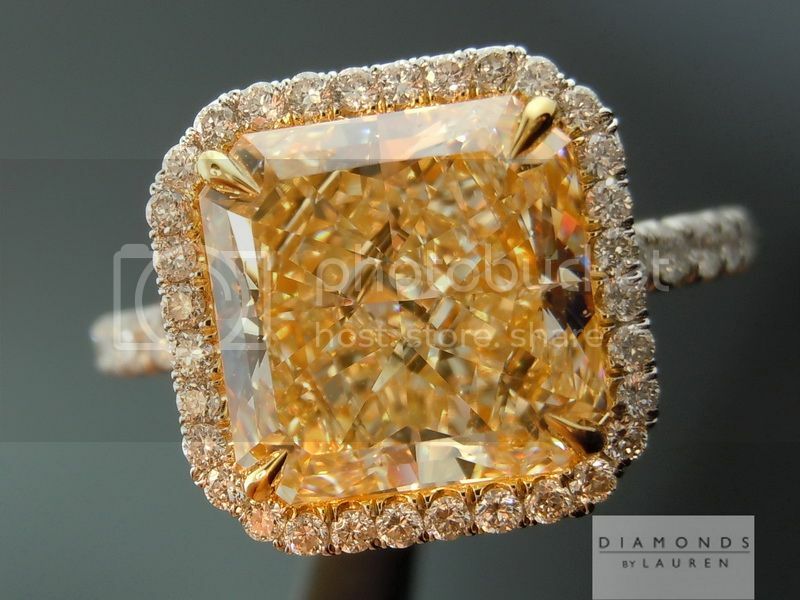 This stone has come alive in this setting. 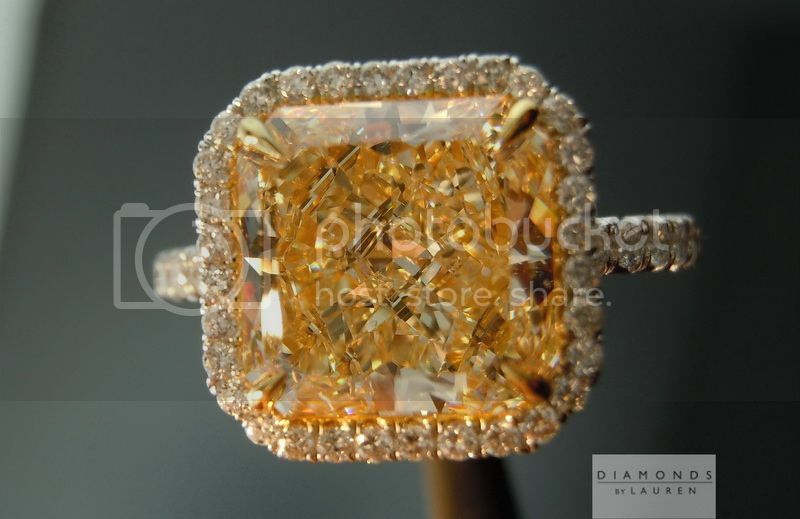 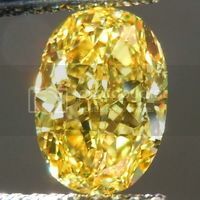 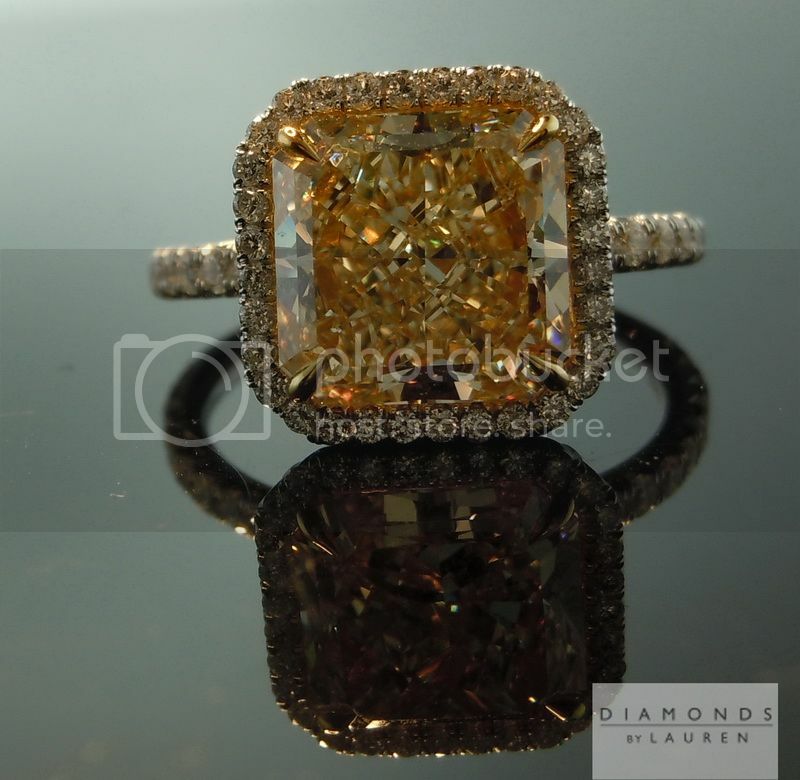 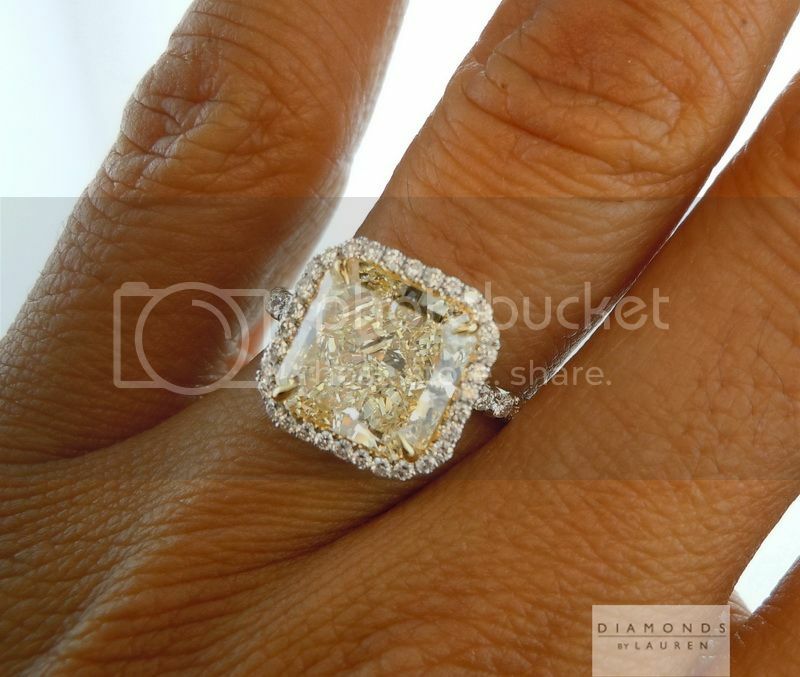 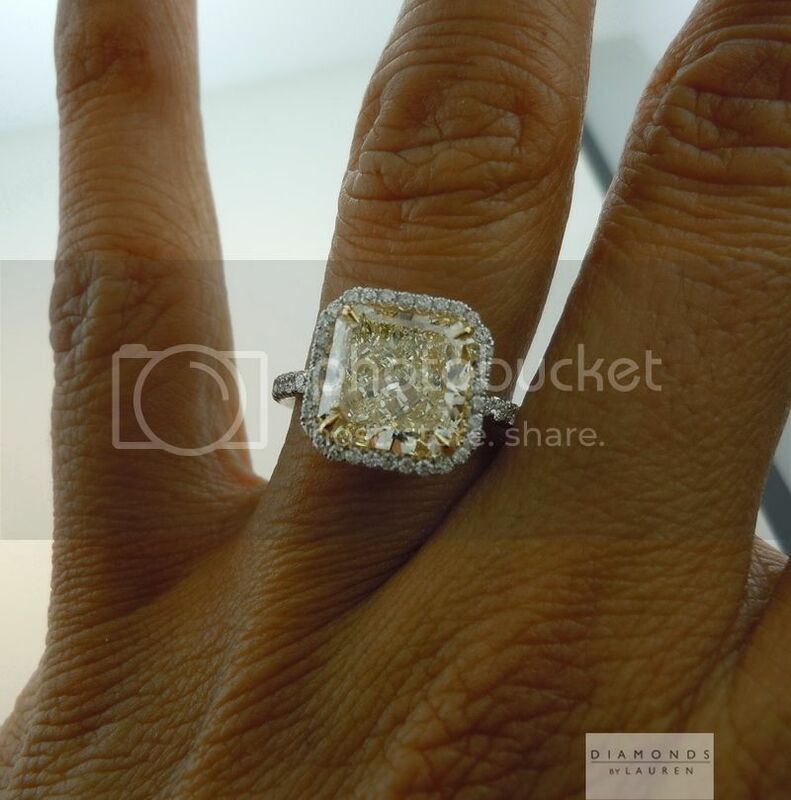 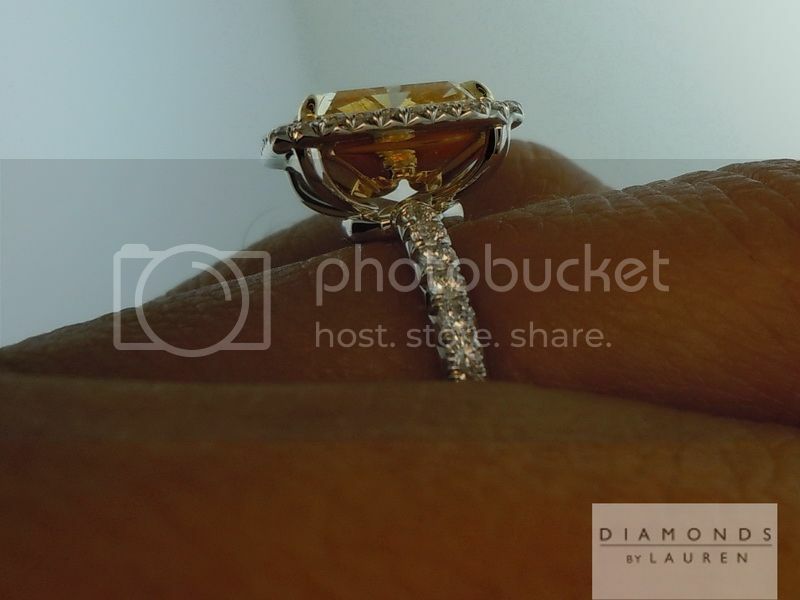 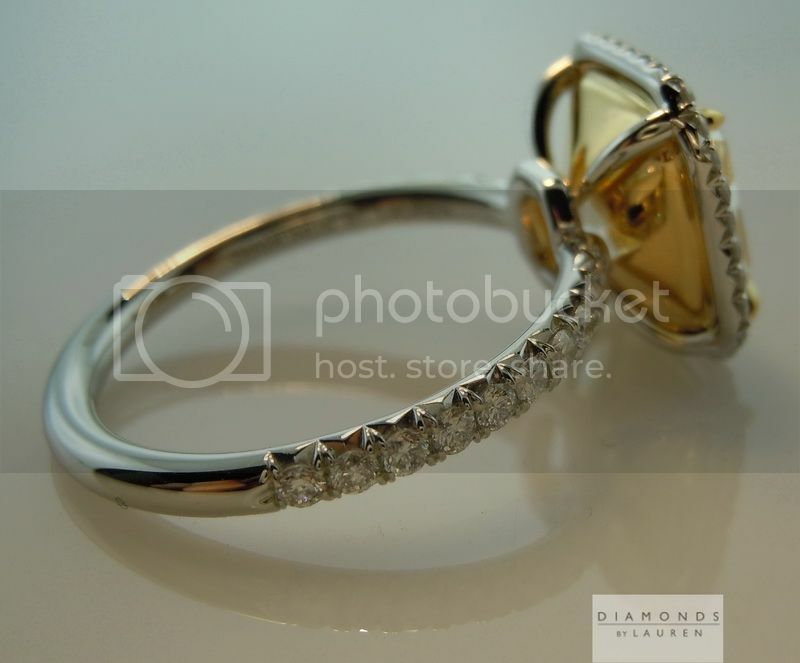 It is still a light yellow, but it the ring takes every advantage of the brilliance and color. 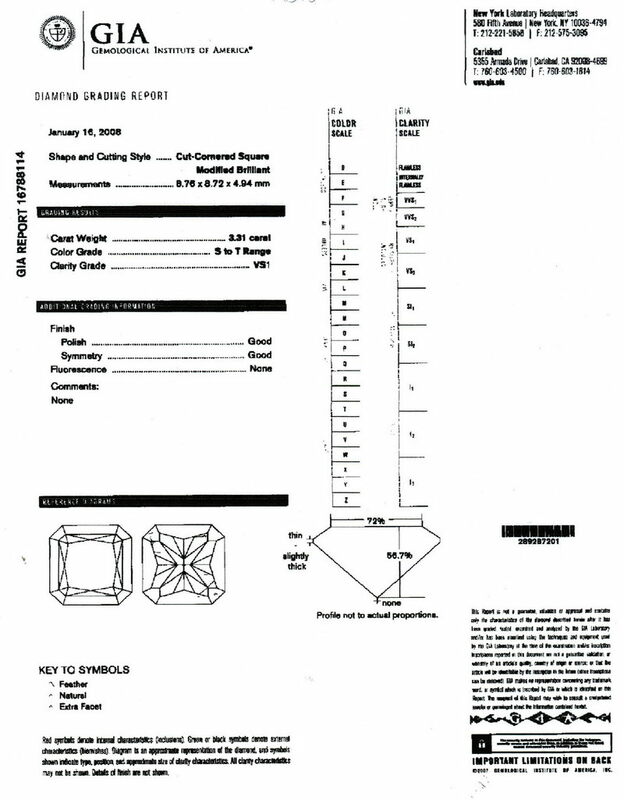 As usual, the ring is completely unique to this diamond. 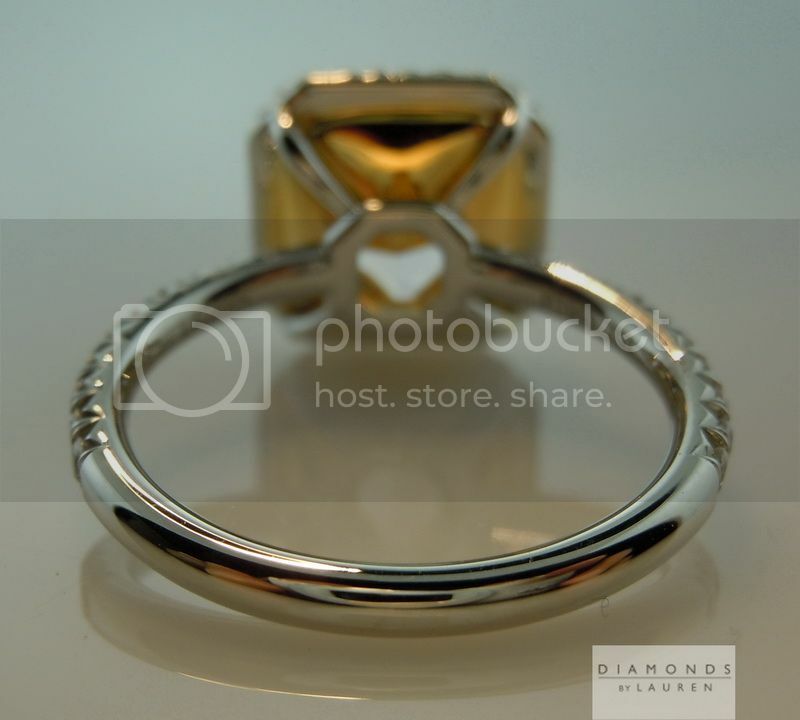 In this case lovely curved uprights..